A short meet up with the foodie gang, never ends without food being part of it. We headed over to Nicky's Cafe at Ethiraj Salai after the quick meet up. Surprise, Surprise this was a Eggetarian / Vegetarian Cafe. Well this may not be my 1st time to vegetarian cafe, but eggetarian cafe in Chennai was quite surprising. The proceedings started of with Macaroon as the Chennai Foodie just loves them. 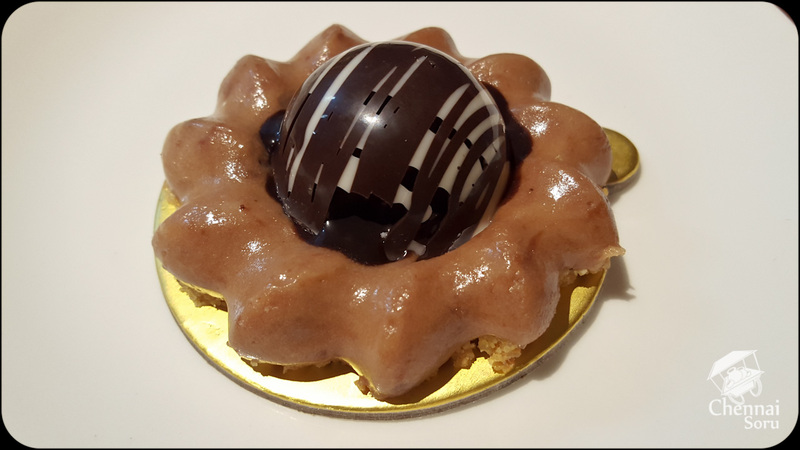 Not the traditional Tuticorin kind, but the imported Frenched up Macaroon. I have never been big fan of bite sized dessert portions, because I fail to understand why they should cost a bomb. 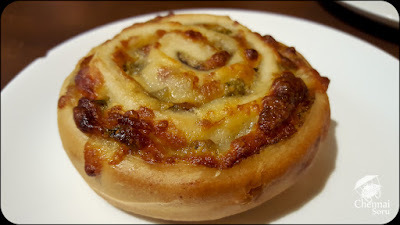 Coming to the taste, I thought it was pretty decent, but the foodie seemed to love it. Maybe someone who loves these kind of stuff will be able to appreciate it better. 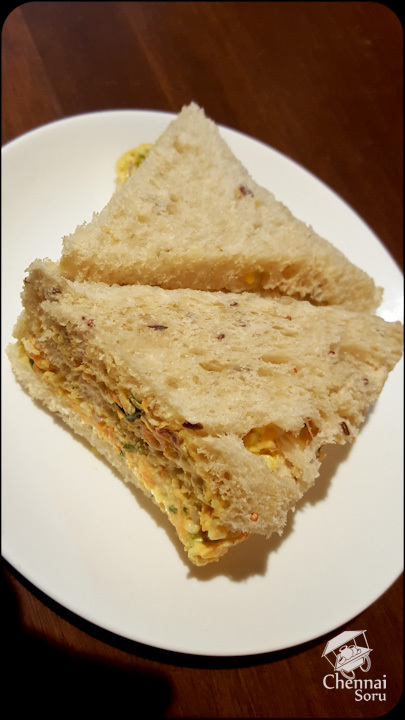 Next we had a English Cheese and Egg Sandwich which was refreshing. Albeit a cold sandwich the filling and the bread gave it a great taste. 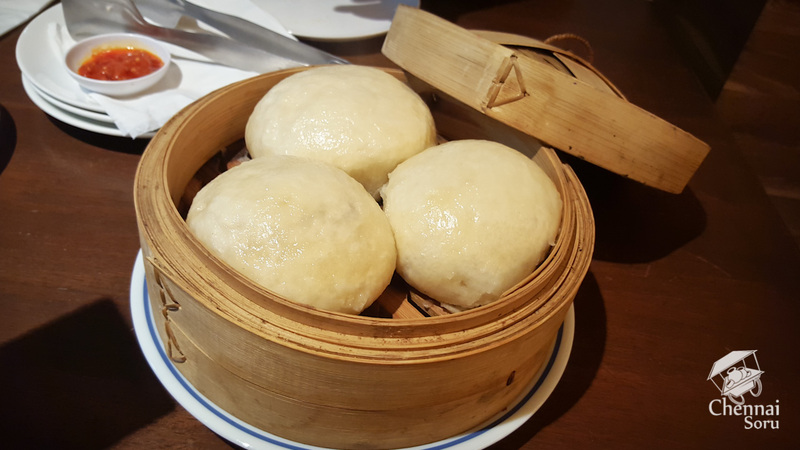 Then we had Chinese Steamed Pau, the food that KUNG-FU Panda loves. 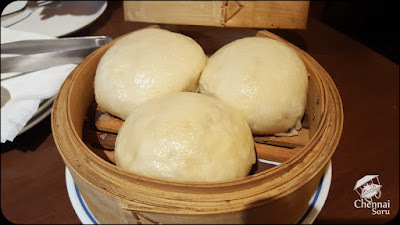 This was the first time that I have had a steamed bun. But I must say it was spectacular. The chinese filling was amazing, the chilli sauce and the steamed bun combination was WoW!!! Loved every bit of it. Will definitely return just for these. Since we were still kind of hungry we decided to get the Pesto Pizza Roll which was very average. 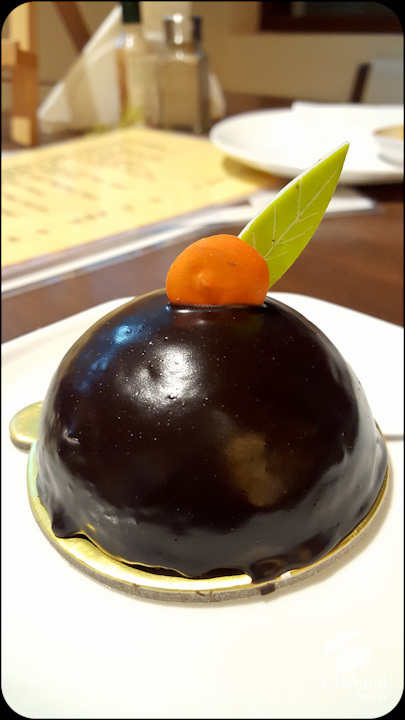 Just to satisfy our sweet tooth we had a Orange Chocolate Dome and the Chocolate Cheesecake. 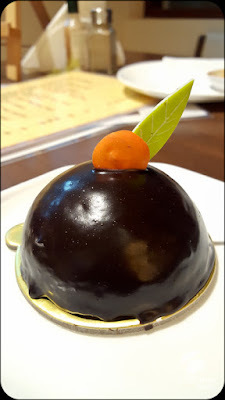 The Orange Chocolate Dome was decadent, with orange peels in it. Orange gave a nice zing to it. On the other hand the Chocolate Cheesecake was sweetness overload. I was done with just two spoons. The caramel was really sweet, with nothing to balance out the sweetness. Food overall was a mixed bunch, but the Steamed Pau and the Sandwich are just enough to tip the scales and lure me for another visit. A typical cafe kind of dining. Nothing over the top here. Now this is where it scores big in my book. Our actual bill was Rs 549/- not a big amount, we did have decent food. But then we used Graaby Rewards and got our bill down to Rs 349/- Big value for money. Nicky's Cafe is on Ethiraj Salai right next to Ethiraj College.